MIL-RAM Technology, Inc., Gas Detection Systemson-proof Tox-Array transmitters feature chemically selective toxic, LEL and O2 sensors. The sensors are designed to non-reactive with air, insensitive to changes in temperature, humidity or pressure and stay awake when gas is absent. 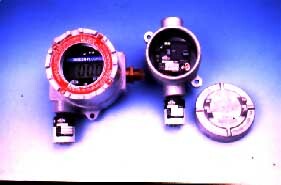 These gas-monitoring units are said to have a recovery time of less than 15 seconds and a three year no-maintenance life for each factory charge. Options for the product's I/O include 4-20mA, RS-485, LONWORKS, MOD or CAN Bus with non-intrusive calibration. The system is capable of monitoring 38 gases.